Gardening and Business. | The Solar Nerd. 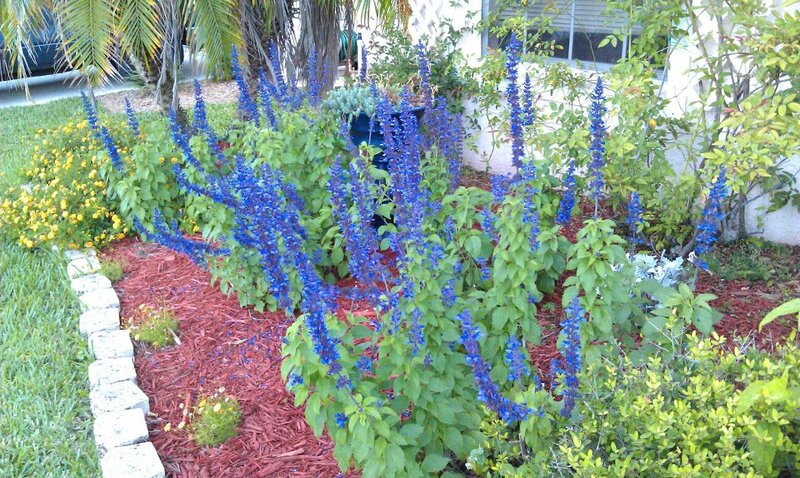 When I moved to Florida back in 2003 there was minimal landscaping around my home, since then my wife and I have planted several small flower gardens around the house. The growing season here is from February to November, so if you don’t get out and weed things a bit you get a jungle rather quickly. The picture above is our front garden in the full heat of summer. In December and January it might get down into the 40’s at night, so everything goes a bit dormant and slows down or stops growing. During our “winter” I still have to mow the lawn every 3 or 4 weeks. The rest of the year everything grows at an accelerated rate, especially if the rainfall is consistent. My parents are visiting for Christmas next week so I’ve been sprucing things up, weeding the gardens and even planting a few flowers around the base of the mailbox. I removed about 4 trashcans full of weeds and clippings from all our gardens…. this got me thinking about weeds, gardening, and how it all relates to business. We have several rose species in our gardens, they’ve established deep roots and seem to weather heat and cold equally well. If you cut our roses down to a mere stalk they rebound and put out shoots, within a month or two you can’t tell they were ever pruned. The weeds, on the other hand, only have roots near the surface and you can rip them out easily, some species will wither when the temperatures get a little colder. I’d like to think Balloon Distractions is like those tough roses in my garden, we’ve established some pretty deep roots in markets across the USA, and even though our numbers might fluctuate a bit we always rebound and survive. We’ve also had some weeds that needed to be removed over time, and we had to do that to keep the core business strong and vital. Moving forward the key is to establish strong roots in as many markets as possible, when we appear on Shark Tank on January 17th it will (hopefully) help us find a bunch of good people who we can develop into successful Regional Partners in many markets throughout the USA.